Want to be more impactful in your business communication? This is the Masterclass not to be missed! 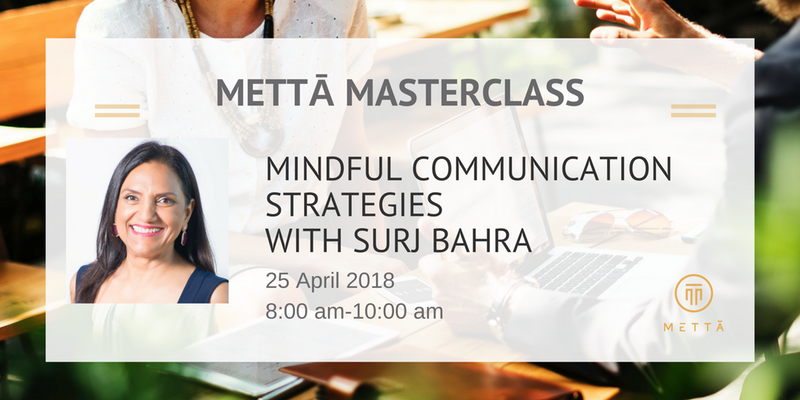 Surj Bahra, a fellow entrepreneur and internationally accredited coach, will help you to identify the road blocks to be a successful communicator. What you’ll learn: A simple yet effective framework using the power of your mind to gain credibility and emotional intelligence techniques to help you win clients. Surj will reveal important insights into the world of behavioural neuroscience that can influence how consumers are going choose you over the competition. Surj is an internationally accredited coach and trainer with over 20 years of experience in the corporate space. With invaluable experience in the banking industry, she stepped away from a very successful career to pursue her real calling: mindset coaching and training and founded her own consulting practice in Hong Kong and London. She is passionate about helping her clients communicate effectively, have engaging interactions, focus on productivity and enhance brand value.